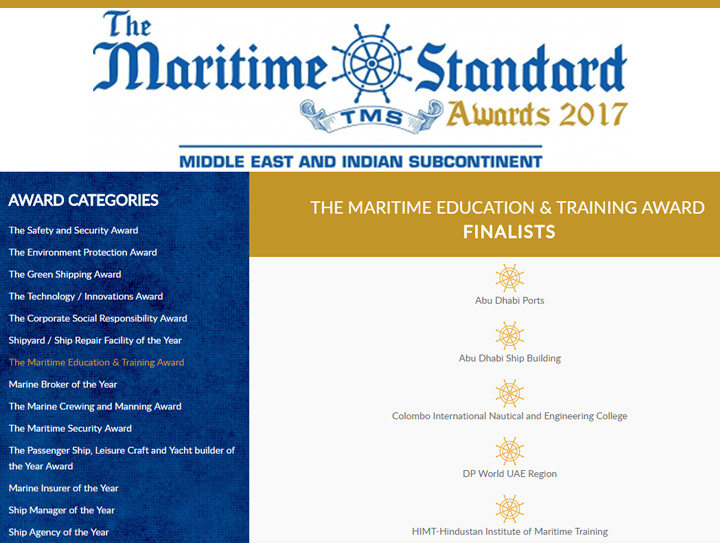 The Colombo International Nautical and Engineering College (CINEC) was placed as a finalist at the Maritime Standard Awards 2017 in Dubai in the Education and Training Category. This award recognizes an educational institution, organization or an individual that has made a major contribution to maritime education or training in the region. Judges are looking for examples of excellence and leadership in this field and a commitment to delivering high value professional or academic education or training to improve the efficiency of shipping and related sectors across the Middle East and the Indian Subcontinent.